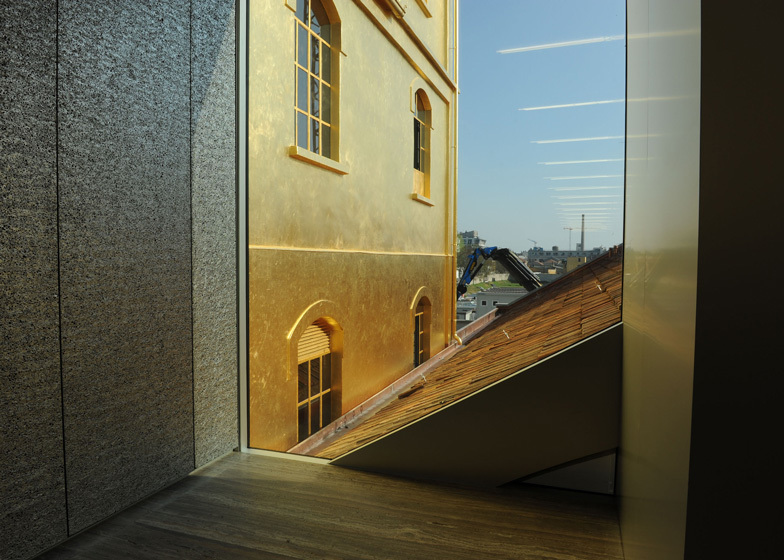 Rem Koolhaas' firm has converted a century-old distillery in Milan into a new arts centre for Fondazione Prada, featuring a "haunted house" clad in 24-carat gold leaf and a cinema camouflaged by mirrors (+ slideshow). 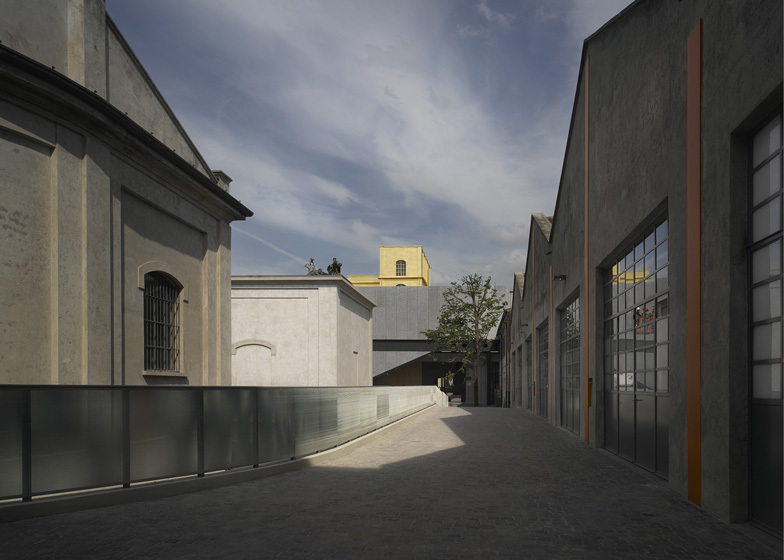 OMA and its research arm AMO renovated seven buildings at the complex in Largo Isarco, southern Milan, and designed three new ones to accompany them – a cinema and gallery that are already complete, and a tower that is still under construction. The old factory buildings and warehouses were upgraded with new finishes and fenestration, while the additional structures were designed to suggest a similar industrial character, despite being built using modern materials and techniques. "We worked on a respect for what was existing," said Koolhaas, speaking at the project launch on Saturday. "We analysed what was here already and we decided that there were a number of conditions and a number of needs that were missing, and basically we added those needs in new architecture." "We didn't work with contrast but on the contrary, we tried to create a situation where old and new can work very seamlessly together and are sometimes actually merged together so that you cannot tell at any one moment whether you are in a new or an old situation," he explained. "That was exactly our ambition." 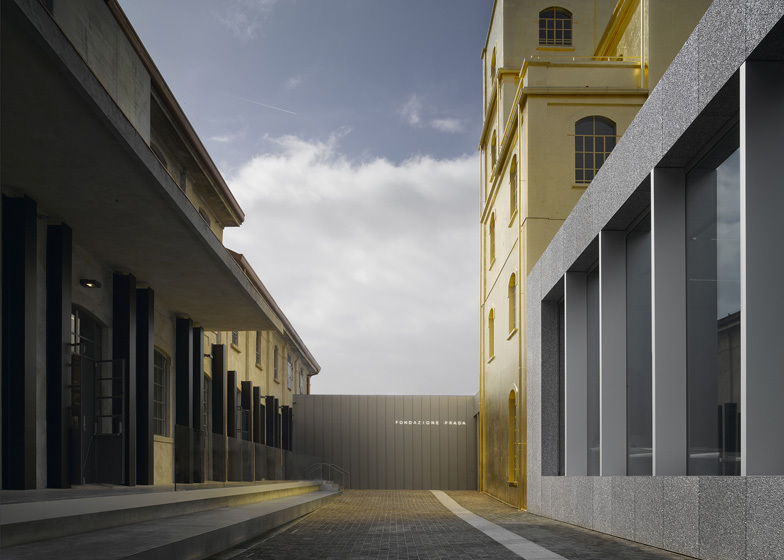 Fondazione Prada was established by the Italian fashion house Prada in 1993 as a cultural organisation dedicated to art, cinema and philosophy. 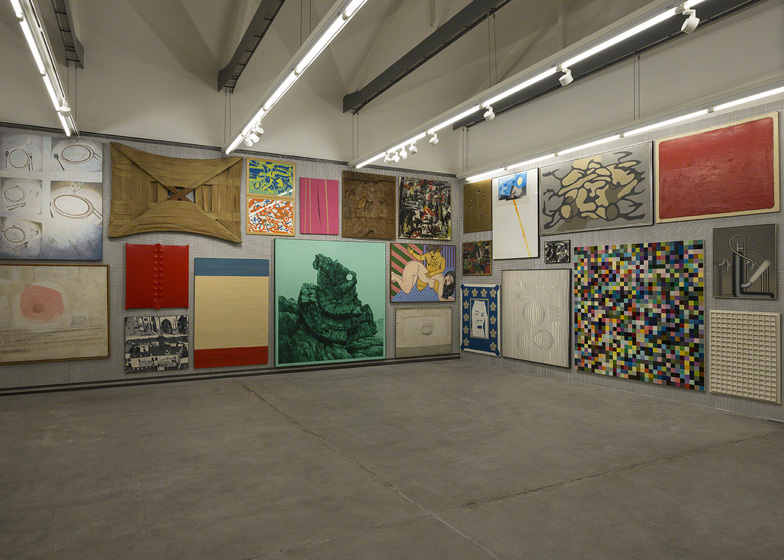 The new Milan venue gives the foundation a permanent exhibition space. 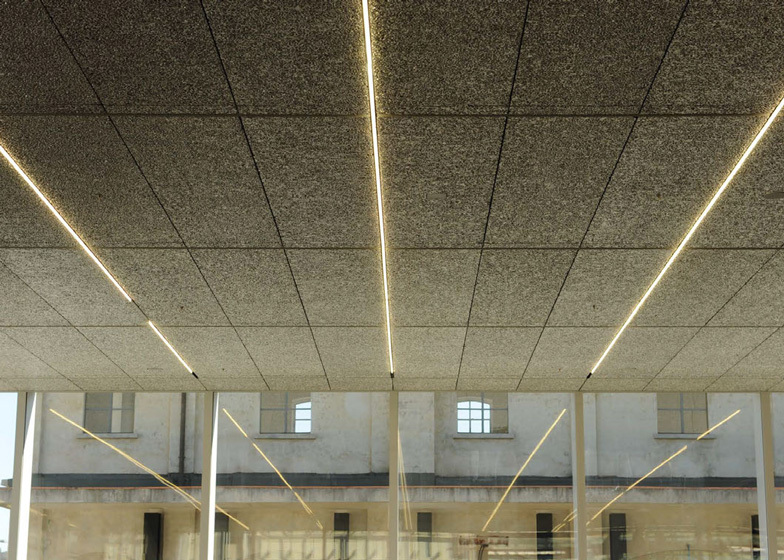 It also marks the latest milestone in an ongoing collaboration between Prada and the Dutch architecture firm, which has included construction of pavilions, scenography and shopfronts. According to Koolhaas, the most important aim of the Fondazione Prada project was to create a diversity of spaces for presenting art. "I think that most contemporary institutions dedicated to art offer relatively limited typologies of display and are very similar in terms of scale, in terms of circulation, in terms of conditions," he said. "What we saw here was the potential for a real diversity." The new Podium building – designed to host temporary exhibitions – and the cinema were both inserted into the centre of the 19,000-square-metre complex. They divide the space into a series of small courtyards, some level and some sloping. The mirror-clad cinema is a standalone structure partially sunken underground, while the glazed Podium was constructed around another building – known as the Haunted House. To add emphasis to this older structure, OMA carefully clad the building's entire exterior in 24-karat gold leaf. Only the glass of the windows was left exposed. "It was actually a last-minute inspiration, to find a way to give value to a seemingly mundane and simple element," said Koolhaas. "But we discovered that gold is actually a cheap cladding material compared to traditional claddings like marble and even paint." "To me the most exciting and now visible effect of it is how the gold and the reflected light of the gold contaminates the whole environment," he added. "As the light changes, the effect of this small intervention is really noticeable throughout the complex." The project also included the addition of a cafe designed by film director Wes Anderson, named Bar Luce. Wallpaper on the ceiling and walls takes cues from the Galleria Vittorio Emanuele – an iconic Milan building – while the colour palette, Formica furniture and veneered wooden panelling reference typical Milanese cafes of the 1950s and 60s. Unlike his films, which favour symmetry, Anderson said there are no ideal angles from which to appreciate this space. "It is for real life," he stated. "I tried to make it a bar I would want to spend my own non-fictional afternoons in." The new tower is being constructed in the far corner of the site and will open at a later date. "For some reason art feels different on the ground than it feels on the 10th floor," added Koolhaas. "What will be unique about this tower is that every next floor will be one metre taller, so that will have a very varied effect on the artistic content." 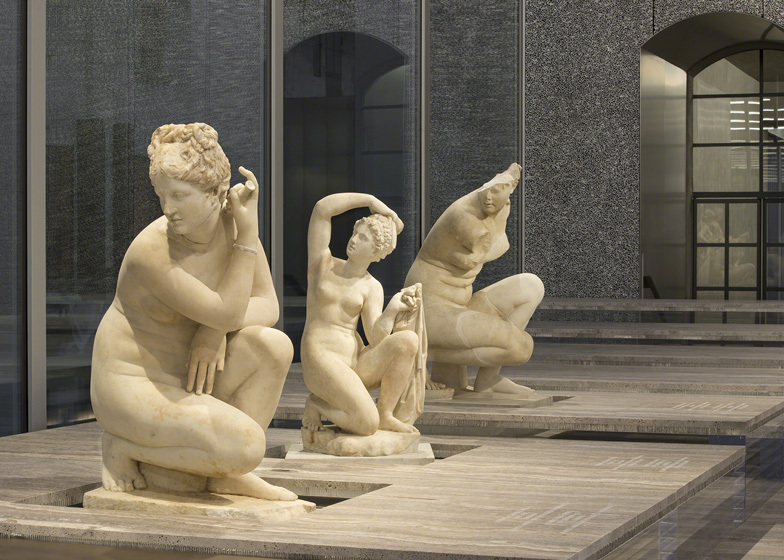 The Fondazione Prada opens this week and its main exhibition is called Serial Classic, with scenography by OMA. 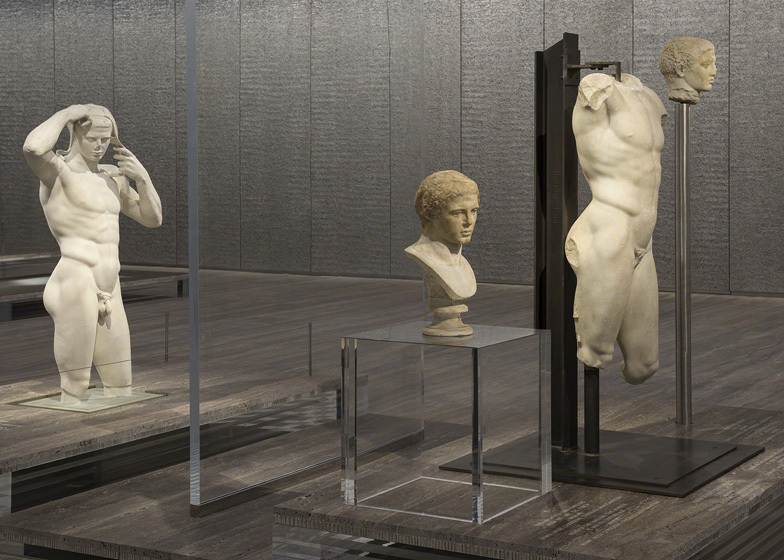 Seeking to explore seriality and copying in classical art, a collection of ancient sculptures and reproductions are arranged over a landscape of stone slabs on both floors of the Podium. The renovated spaces known as the Sud gallery and the Deposito host an exhibition named An Introduction, featuring cars by artists Elmgreen & Dragset, Carsten Höller, Tobias Rehberger and Sarah Lucas. 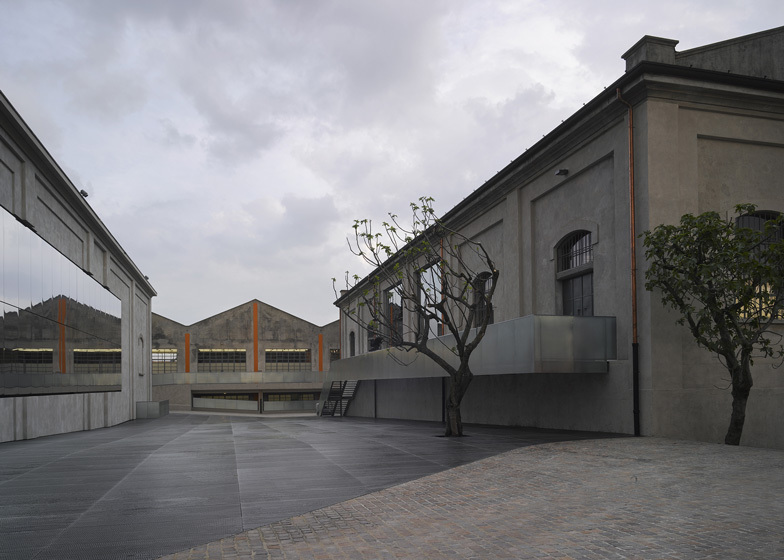 The four-storey Haunted House hosts a permanent installation conceived by American sculptor Robert Gober and including two works by Louise Bourgeois, while the Cisterna – a building made up of three vertical structures – presents a changing exhibition of three works from the foundation's collection of 20th and 21st century art. The final exhibition space is the Nord gallery, which opens with an exhibition dedicated to the concept of the synecdoche. Photography is by Bas Princen, apart from where otherwise indicated. It is surprising that the enormous expansion of the art system has taken place in a reduced number of typologies for art's display. To apparently everybody's satisfaction, the abandoned industrial space has become art's default preference – attractive because its predictable conditions do not challenge the artist's intentions – enlivened occasionally with exceptional architectural gestures. 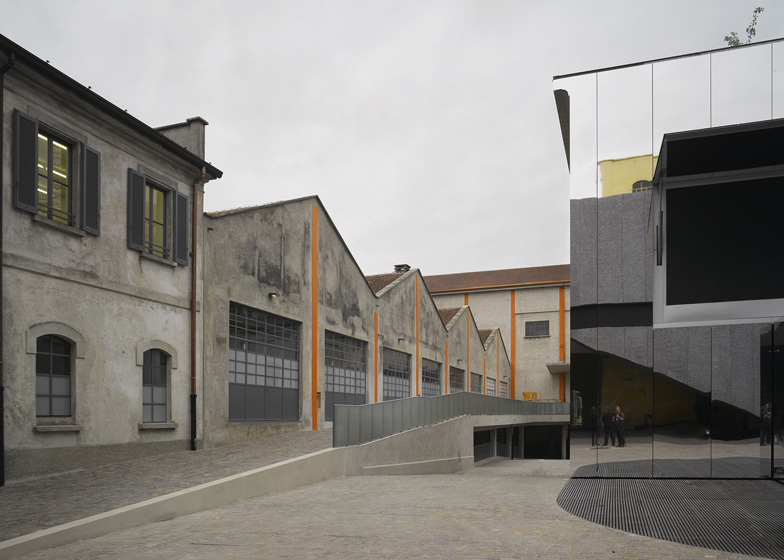 The new Fondazione Prada is projected in a former industrial complex too, but one with an unusual diversity of spatial environments. 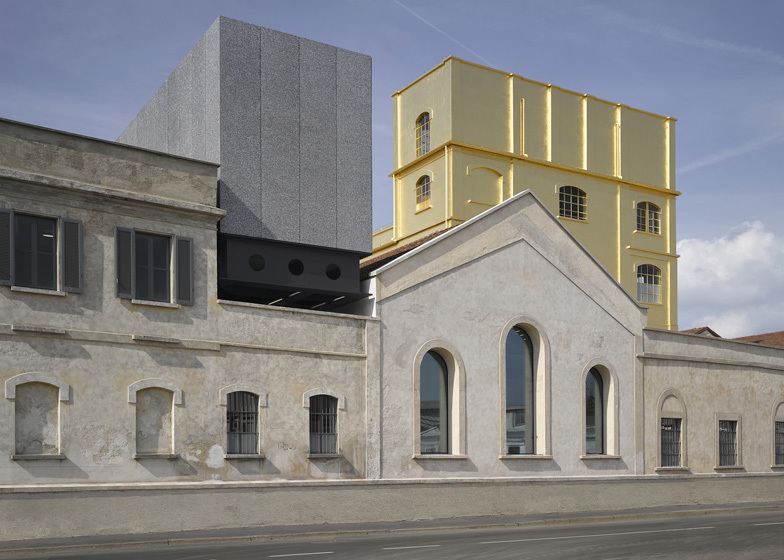 To this repertoire, we are adding three new buildings – a large exhibition pavilion, a tower, and a cinema – so that the new Fondazione Prada represents a genuine collection of architectural spaces in addition to its holdings in art. New, old, horizontal, vertical, wide, narrow, white, black, open, enclosed – all these contrasts establish the range of oppositions that define the new Fondazione. By introducing so many spatial variables, the complexity of the architecture will promote an unstable, open programming, where art and architecture will benefit from each other's challenges.